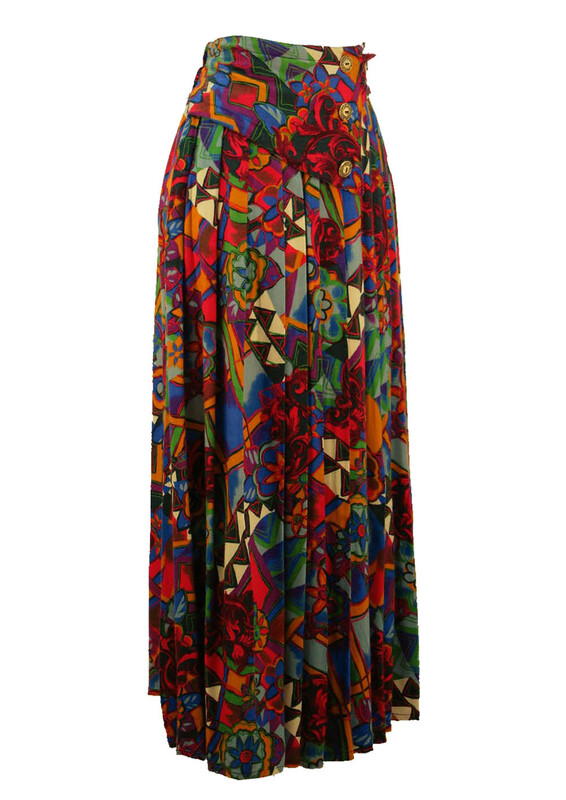 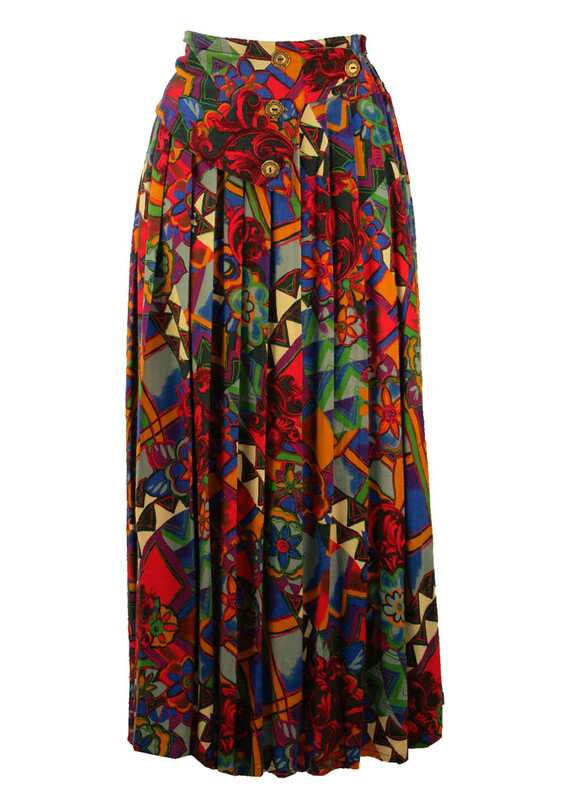 Packed full of design this 90’s maxi skirt has a multi coloured abstract floral and geometric pattern in shades of purple, grey, green, red, ochre, black and white. 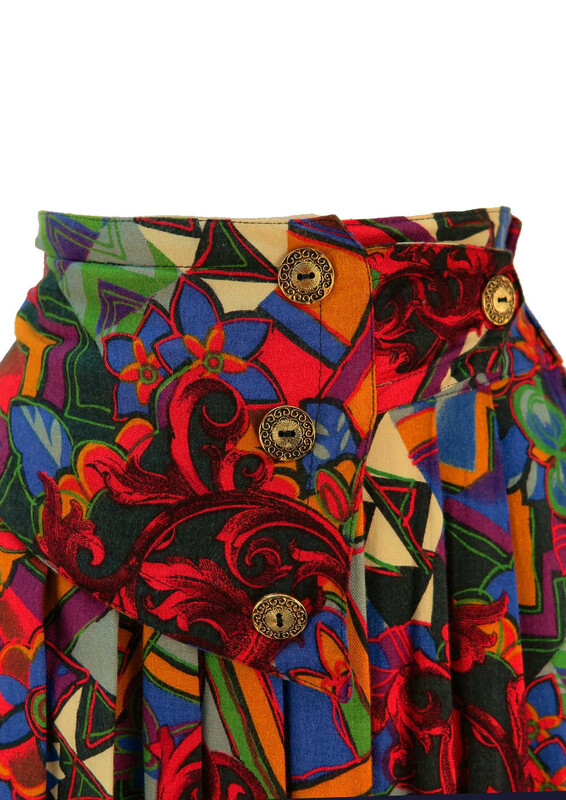 Asymmetrical waist panel features intricate gold buttons at the waist and sits above pleats that bring movement to the garment. 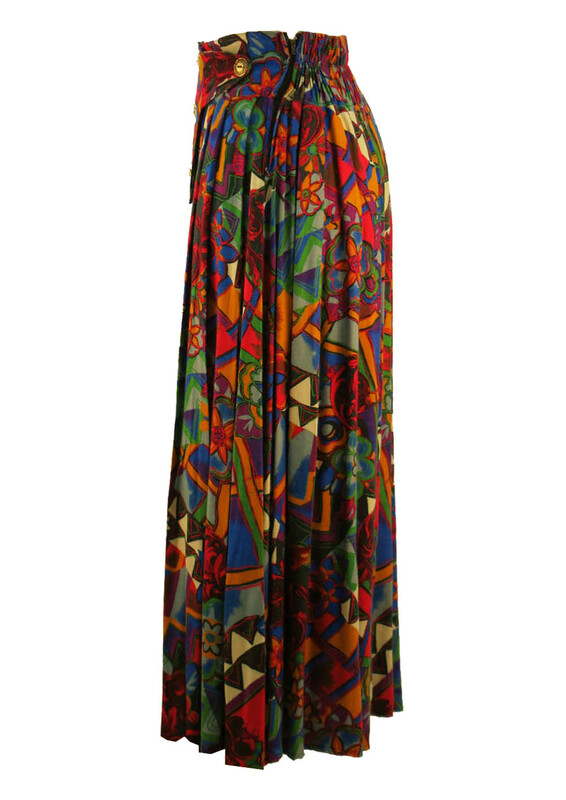 This garment is elasticated at the waist so comfortably stretches between 26″ and 28″ without distorting the shape of the skirt. There is no fabric label, but the skirt has a lovely soft, brushed cotton feel to it and hangs well when worn.